Arithmetic was one of the seven liberal arts taught in the French schools just before the middle of the twelfth century, and Boethius’s De arithmetica was the principal textbook for this art. 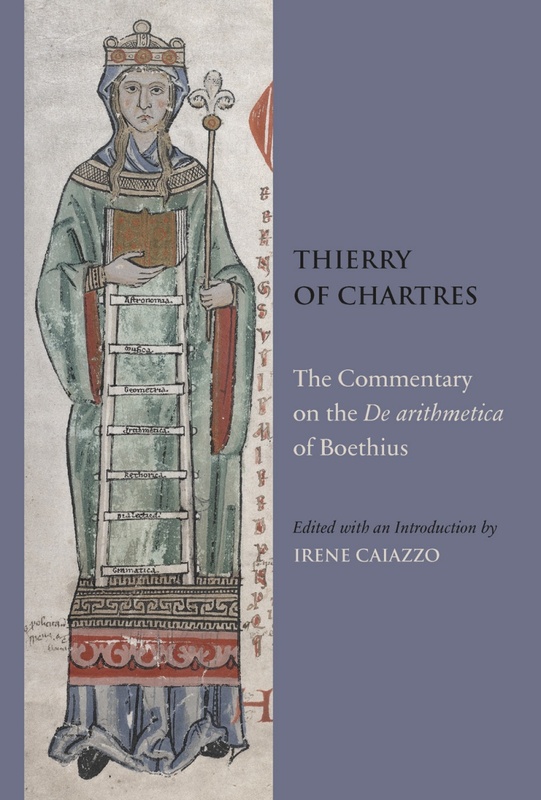 This volume provides an edition of a commentary on the De arithmetica; the accompanying introduction identifies the author of the commentary as Thierry of Chartres, and provides a careful consideration of how the commentary reflects his philosophy. Unlike the commentaries on Plato's Timaeus and on Boethius's Consolatio philosophiae, medieval exegesis of Boethius's De arithmetica has seldom been subjected to comprehensive and systematic enquiry. Inhabiting the shifting boundary between philosophy and history of science, the De arithmetica itself has been neglected by most medievalists. Yet, from the Carolingian renaissance onward, when the scholarly curriculum came to be based on the seven liberal arts, Boethius's work soon became a canonical text for the study of arithmetic. Indeed, the growing interest in it during the twelfth century is attested by the large number of surviving commentaries in manuscript. A specialist in the history of medieval philosophy as well as the history of science, Irene Caiazzo received her doctorate in 1999 and her Habilitation in 2012 from the Ecole pratique des Hautes Etudes, Paris. She is currently directeur de recherche at the Centre national de la recherche scientifique. The author of Lectures médiévales de Macrobe: Les “Glosae Colonienses super Macrobium” (2002), she is also co-editor (with Barbara Obrist) of Guillaume de Conches: Philosophie et Science au XIIe siècle (2011) and (with Pasquale Arfé and Antonella Sannino) of Adorare caelestia, gubernare terrena (2011), a collection of papers in honour of Paolo Lucentini. Her essays on twelfth-century thought, informed equally by philological learning and philosophical sensitivity, cover a wide range of themes (such as the anima mundi, the four elements, prime matter, harmony, and Nature) as well as texts and traditions (from readings of Plato's Timaeus to the medical School of Salerno and the influence of Aristotle's natural philosophy in the West).